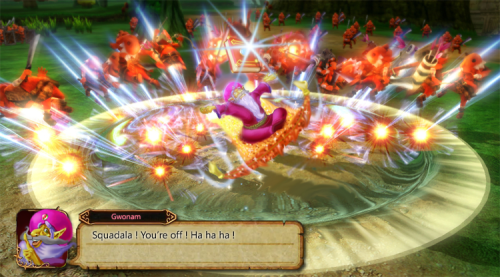 Over the past few weeks there has been an abundance of information and articles about the upcoming Majora’s Mask 3D remake but let’s not forget that the Majora’s Mask DLC pack is soon to be released for Hyrule Warriors. A lot of seemed were quite surprised that Tingle has been made a playable character but how would you feel about a DLC pack for the CDI games Wand of Gamelon and Faces of Evil? An artist known as Rogby has made a few mock screenshots of how DLC based on these games could look. Take the jump to see the pictures. I haven’t been able to experience the CDI games myself, so I’m not entirely sure who Gwonam and King Harkinian are, but I know all about how awful those games are. 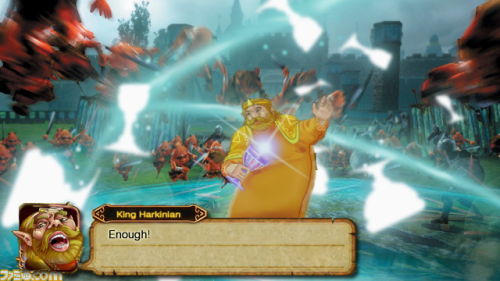 However, seeing them with a Hyrule Warriors makeover has certainly given them a new lease on life. As can be seen in the pictures, Gwonam uses the Book of Koridai while King Harkinian uses the Dinner’s Cup and they seem to be having no trouble taking care of the unwanted visitors. 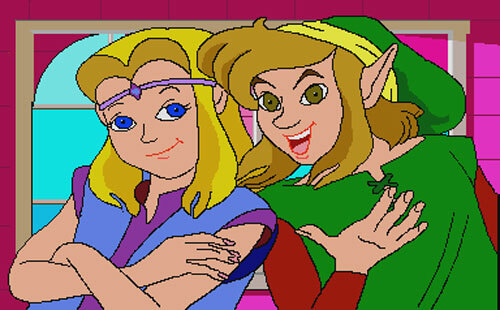 Be sure to check out the Tumblr page for some extra pictures showing costumes for Link and Zelda based on the Faces of Evil and Wand of Gamelon incarnations. What do you think of this idea? Would taking characters or items from the CDI games and putting them into Hyrule Warriors work? Tell us your thought in the comments below.